A global cyber attack is about now unfolding with the most severe incidents being reported out of Europe — and especially Ukraine, where multinationals have been hit with a ransomware similar to that which infected more than 300,000 computers last month. 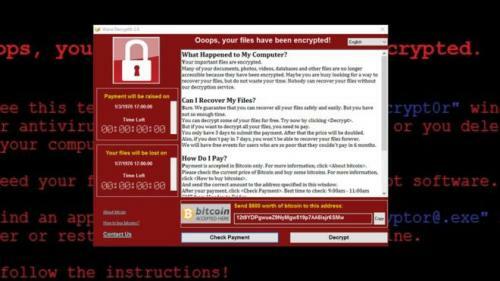 While the similarity stems from the fact that the virus includes code known as "Eternal Blue", which were reportedly released from the U.S. National Security Agency (NSA) and used in last month's "WannaCry" ransomware attack. The new strain of ransomware, Petrwrap that has infected thousands of systems across the world, including massive multi-national corporations like Maersk, Rosneft and Merck; is a variant of a strain first introduced last year called Petya, but now coded to outwit fixes to protect against it. 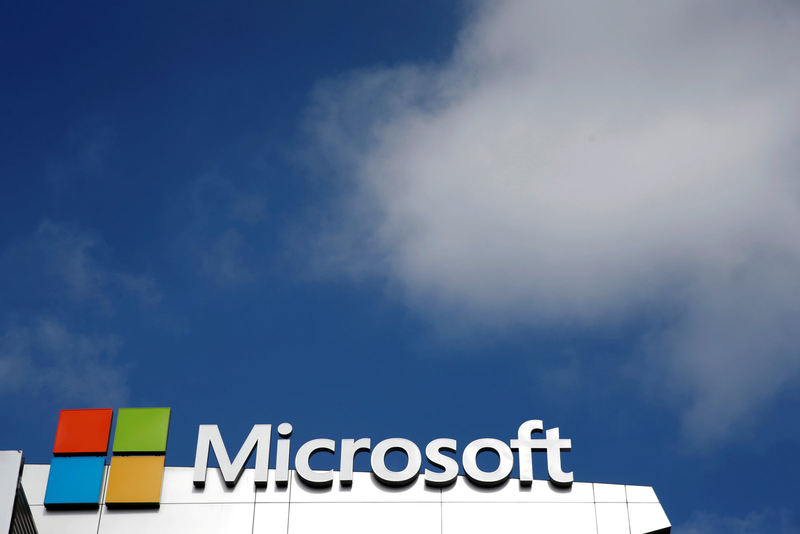 The virus crippled PCs running Microsoft's Windows software by encrypting hard drives and overwriting files; while a demand of $300 in bitcoin payments was required to restore access. Microsoft, however stated that it has already issued a patch in a security update in March, and that further investigation is ongoing and will take appropriate action to protect its customers. Meanwhile, it is recommended that businesses and consumers should make sure their computers are updated with Microsoft patches to defend against the threat. And victims have been advised not to pay the extortion, as there's no guarantee that access would be restored. Apple has released the first public beta of iOS 11, and with the new features coming with the new OS, like stickers and iMessage apps shortcut drawer; now all available for everyone free to download. And perhaps, the first public beta can be said to be more or less the same build as the one in the developer channel, so shouldn’t be installed on your primary iPhone or iPad. The company plans to release the final version of iOS 11 this fall, with regular public beta releases over the summer, maybe. Another good news for iOS enthusiasts is the availability of Google's Uptime, an app that lets you watch YouTube videos together with your friends, now available for all iOS users, and doesn’t require invites anymore. The Uptime app allow users to share YouTube videos with their friends and then watch them together in real-time; including the ability to also play and share music videos. And users can also chat with each other, and leave comments and emoji layered on top of the video. 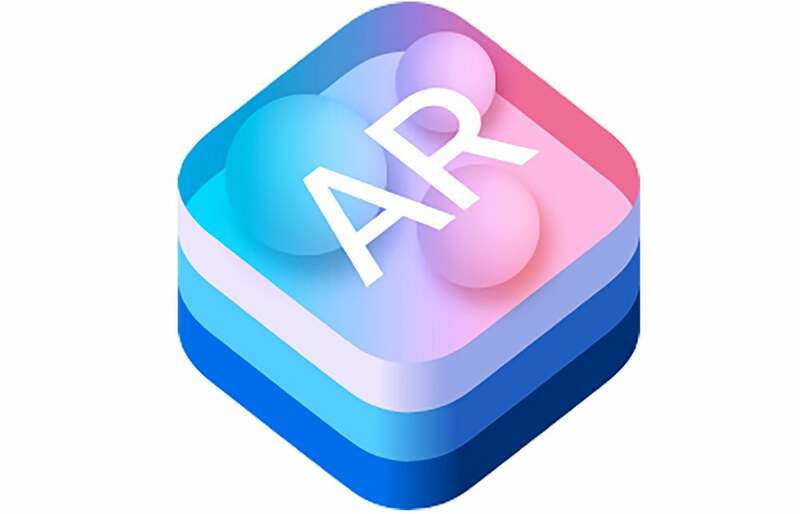 Finally, starting with iOS 11, many third-party developers will be working on augmented reality apps and features with the support of ARKit, as it has made it much easier to turn the iPhone/iPad camera into an AR-enabled device. Great portion of Windows 10 source code was leaked last week, with files related to Microsoft’s USB, storage, and Wi-Fi drivers in Windows 10 posted to BetaArchive. But what's the potential damage from the breach, given that BetaArchive has taken down about 1.2TB of the leaked Windows 10 code offline since the original report. BetaArchive is a fan-portal, which calls itself "the community for beta collectors" that tracks Windows updates, and require donations from its members or a contribution on Windows-related stuff if they access a private FTP full of archived Windows builds. While the leaks are part of Microsoft's Shared Source Kit, which includes source code for the base Windows 10 hardware drivers, PnP code, USB and WiFi stacks, storage drivers and some ARM-specific OneCore kernel code. 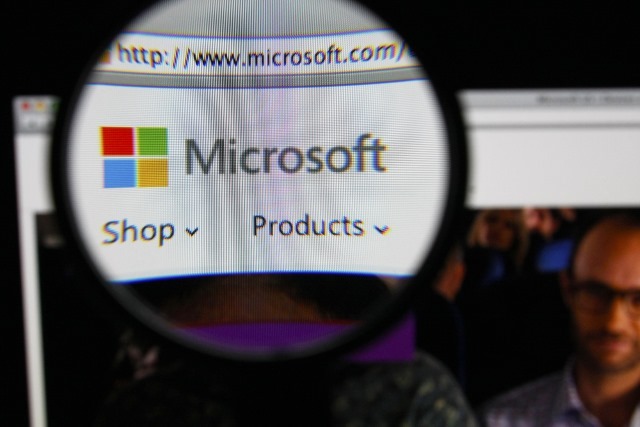 Albeit, the leaked code may date back to March 2017, as it may possibly have been hijacked from the Shared Source Initiative, which Microsoft licenses to certain "qualified" customers, governments and partners for debugging and reference purposes. The fear of the leaks to the public stems from the fact that anyone who has the information can scour it for security vulnerabilities, which could be exploited to hack Windows systems. And secret builds of Windows 10 and Windows Server 2016, none of which have been released to the public, have also been leaked among copies of the officially released versions. Microsoft has been known to aggressively pursue after Windows leakers, and the company had once scanned a user's Microsoft account to track down a Windows 8 leak. And as such, it has narrowed down early access to its Insider program that lets only verified testers have copies of the operating system. 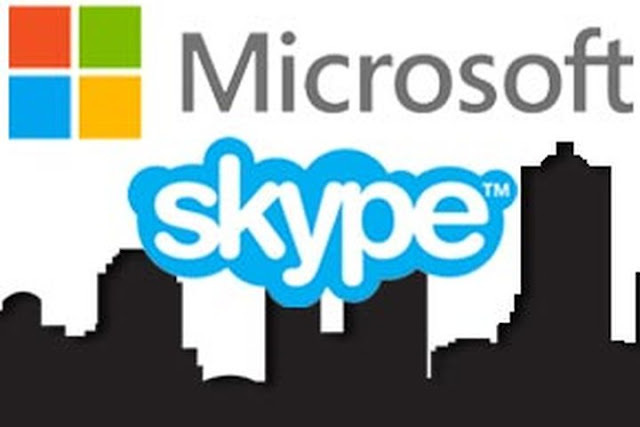 Microsoft Leaks: No possibility of leveraging it for serious exploits? The newly introduced Snapchat location feature, "Snap Map" which allow users to track other people’s location in real time, is heating up debate among privacy advocates, as many are concern about the likelihood of strangers using it to stalk victims. 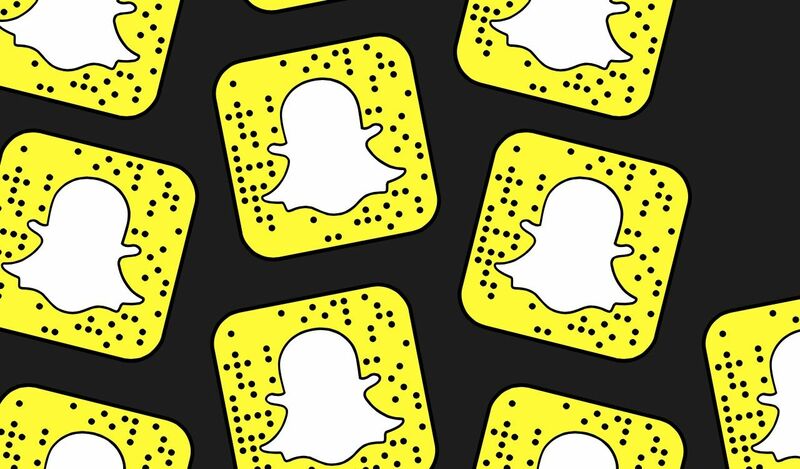 While, Snap Maps pitches users and their snaps onto a map so friends and other permitted Snapchatters can be able to know where and perhaps what they're doing at any moment. It displays a map of nearby friends, showing their latest location gathered using a smartphone's GPS sensor, with the aim to help friends meet up or attend events together, but alas it raises concerns that it could be abused. Albeit, Snapchat isn’t the first social media company to allow location tracking, Facebook also have check-ins and the “share location” Messenger function which allow people to track their contacts in real-time. According to the company, the location-sharing is off by default and completely optional, stressing that the safety of its community is very important. As Snapchatters can choose who they want to share their location with, if at all, and can change that setting anytime. Adding that it’s impossible to share your location with someone who isn’t already your friend on Snapchat; with majority of interactions on Snapchat taking place between close friends. If you want to access the map feature, open the app and pinch to zoom out on the screen, then the map will display the local area, and users can change whether or not they are visible to others within the app’s settings. YouTube hasn't given up on leveraging virtual reality (VR) to bring to their audience new, amazing, and may be impossible-to-visit scenarios, even as the purported 360-degree video that spin around and seen in any direction, isn't taking off given that it's particularly hard to shoot. The company has partnered with Lenovo, LG and YI Technology on a new technology called VR180 camera. The VR180 format will allow video creators to shoot as they normally would, and the video can be viewed on a normal screen or with a virtual reality headset. And coupled with support for livestreaming, it will be compatible with VR headsets from Google, including Daydream and Cardboard, as well as PlayStation. While 360-degree video focus on one direction; the VR180 video focuses on what’s in front of you, are high resolution, and look great on desktop and on mobile. 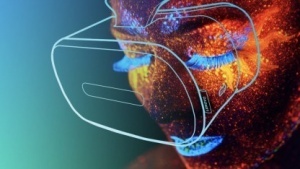 It transition seamlessly to a VR experience when viewed with Cardboard, Daydream, and PSVR, allowing users to view the images stereoscopically in 3D, where near things look near, and far things far apart. The new format will also support livestreaming videos so creators and fans can be together in real time. 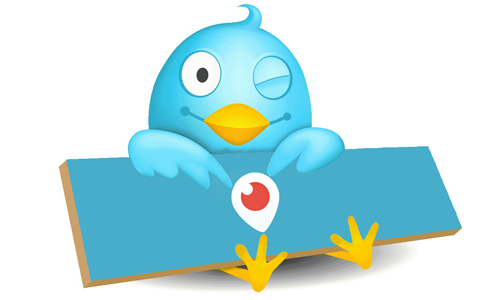 Twitter in a bid for its video service, Periscope not to suffer same fate as Vine, which basically shutdown because it failed to pay creators on the platform, resulting them to take their audiences to other platforms like Instagram and YouTube; will be rolling out a new way to reward video creators on Periscope. According to the company, Periscope will offer “super hearts” reward which is essentially a way for the audience to tip a creator by sending a virtual heart, and on accumulation of $175 worth of super hearts, creators can then cash out the digital goods for cash. While creators will receive about 70 percent of the actual value, with the remaining 30 percent going to items like fees and payment processing. Albeit, creators can also have a way of cashing in on live contents, considering that there may be opportunities for people to stream explicit content for cash, as has been a popular business model with many livestreaming apps. Twitter, however says that in order to receive super hearts, a creator has to go through a content review process and fill out a tax form. Though it’s still unclear if any of those fees are going to Twitter, and the actual number of creators using the platform on a daily or even monthly basis. The "Super Hearts" reward is live in the app update to Periscope on iOS and Android, but only available in the U.S. for now. What is “Super Hearts” reward for video creators on Periscope? Google AI have already outdone itself with recording breaking feats in gaming, now it wants to help you get the next job with "Google for Jobs", an AI-powered algorithm which aggregates job listings from career websites based on location and make them available to users on Google search. The new search feature was originally unveiled at Google I/O 2017 event, with the promise to enable job searchers view a wide range of filtered job results without having to check multiple job sites. Now available in English on desktop and mobile; just by typing in a query like "jobs in Lagos", or something related, the search engine will reel out all the new job search listing in a widget that lets you see a broad range of jobs. Google has partnered with LinkedIn, Facebook, CareerBuilder, DirectEmployers, and Glassdoor, among other online job sites to provide a large selection of job listings to its search results. Additionally, Google can cull job posting from certain companies directly on their own websites and make them accessible on search result. While job searchers can filter jobs by industry, location, when they were posted. And also, to turn on notifications so as to get an immediate alert when a new job is posted that matches their personalized query. Google is harping on it's machine learning algorithm to sort through the millions of job listings to avail job searchers access to personalized results. While Microsoft has expanded the Bing image search toolset to allow searching for specific items within a larger image, Google has followed suit by releasing a new TensorFlow object detection API to make it easier for developers and researchers to identify objects within images. The detection API comprises of convolutional neural networks, with streamlined models designed to run on less-powered devices, and MobileNets single shot detector optimized to run in real-time on smartphone. With the MobileNets family of lightweight computer vision models designed to handle tasks like object detection, facial recognition and landmark recognition. 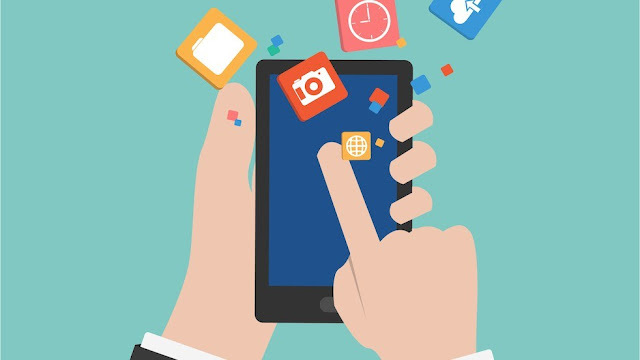 Albeit, smartphones possess less computational resources than desktop and server-based setups, which leaves developers with only two options - machine learning models based in the cloud, which adds latency and requires internet connection, and the alternative approach which is simplifying the models, is a trade-off in the interest of more ubiquitous deployment. With Google's offerings in public cloud services to give it differentiated and advantage positioning, as obviously, Google isn't new to delivering computer vision at scale in relation to its Cloud Vision API. Google has made it extra easy to play with and implement, with the addition of Tensorflow detection model definitions now available on Github. 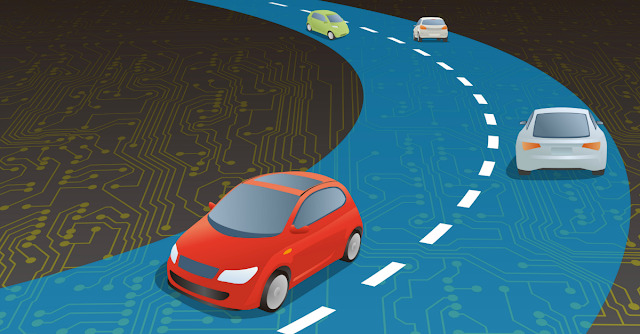 Car hacking and connected vehicle security is perhaps becoming one of the most debated issues in the industry today, a phenomenon that's sending chill up motorists' and manufacturers' spines across the globe, especially as cars are now more like smartphones. Cracking cars is a genuinely huge risk and represents a whole new frontier in vehicle security. And equally important, is knowing what the world's governing agencies are doing to help eradicate car hacking and what you as a driver can do to prevent your car from being hacked. See below to discover the comprehensive infographic on "Cracking Cars" brought to you by Selectcarleasing.co.uk. Third-party developers who monetize their applications via Alexa Skills, through the use of “Sponsored Messages" has been hit by series of policy changes at Amazon on how advertising will be supported within Alexa’s voice-enabled apps. Alexa Skills afforded developers ways to make money from their creatives, through collective Skills ad network, with group of apps sold collectively to brands that needed to reach consumers through Amazon’s connected speakers, like the Echo, and other Alexa-powered devices. But, Amazon had discreetly updated its Alexa Skills Developer agreement in April to further restrict ads usage in Skills. Before the ban, startups that used the Alexa app home cards for ads, popped up in the Alexa app to describe the Skill in question or text-based content enhancement, includes: Federated Media, XAPPmedia, TWiT.tv, Appbly and various independent Alexa "Skills" developers. The ban is with the exception of streaming music, radio and flash briefing Skills (news briefings) where advertisements weren't the base functions. While there are still few ways for developers to make money from Skills today, just in May, Amazon started payments for developers of Game Skills in an effort to seed the market with their popular Skill category. Also, some developers may use a freemium or paywall model via account linking, though trying to convert Skills users to a paid, full version of a Skill is hard work, as the worse case is that users won't give favorable reviews. Albeit, most developers are not happy with Amazon’s policy changes. The company, however, believes the policy changes were necessary to preserve a good consumer experience for Alexa users. Just recently, Google’s AlphaGo AI was able beat the world’s best Go player, and now, Facebook has outlined its effort to train bots to be able to negotiate as real humans; which skill requires that bots be a step ahead in order to assimilate discussed issues. 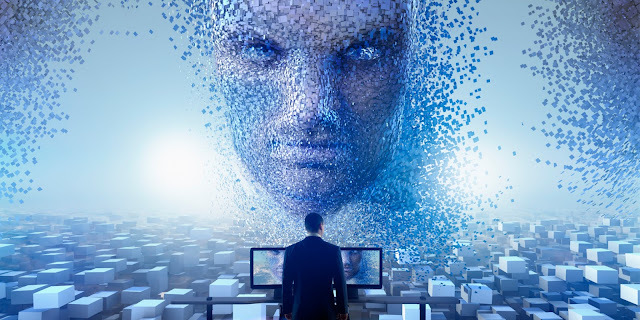 The training involves displaying a typical negotiation dialogues between real people, and having the bots to imitate the human actions, a process referred to as "supervised learning". Facebook research reports an experimental pitching of the bots to divide up a number of objects correlating to a different point value, with the goal of dividing the objects through negotiation and end up with the most possible points, which result proved that the bots got smarter. According to the research, the bots got smart enough to negotiate with humans who didn’t realize they were even dealing with a machine. And the claim that the bots flawless facade to care about an outcome they didn’t actually want, in order to have the upper hand, is most intriguing, as the trait was not programmed by the researchers but was "learnt" by the bot as a means to achieve its goals. The social media giant hopes the bots could eventually assist with real-world negotiations, as artificial intelligence (AI) has achieved what was apparently impossible for humans, which means something as complex as conducting a business deal on your behalf is indeed possible. Smart Home is perhaps saddled with the slow roll-out of specifications and the fact that there are still very little worldwide accepted industry standards, notwithstanding the smart home space is highly fragmented, it is still growing rapidly. Blazing the trail is Wi-Fi Alliance introduction of a certification program for new smart home construction. Akin to what it’s like nowadays when it comes to home networking, the Wi-Fi Certified homes will feature integrated wireless networks designed with the same level of detail as the home’s electrical or plumbing systems. With the Wi-Fi Alliance’s new Wi-Fi Certified Home Design program, which include professional design and installation, the home will be constructed to enable delivery of optimal performance for any wireless device required to create a smart home. And the overriding goal is to eliminate blind spots and ensure coverage everywhere within the vicinity of the home. The Wi-Fi Alliance has got a very long history of certifying wireless networking products for interoperability, and as such, will have the expertise to deliver on this as well. Foxsy, born last year has become a hugely loved digital assistant, the chatbot works on messenger apps and currently available on Facebook messenger and Viber with plans of expanding to other messenger platforms. 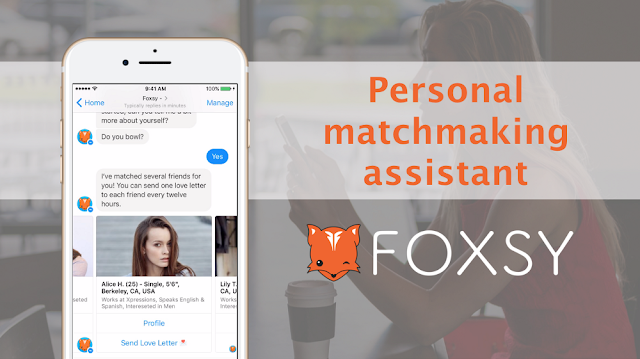 While there are many chatbots, Foxsy sets itself apart as the first matchmaker bot; and you can find the right person to be chatty via Foxsy. Unlike other matchmaking services, Foxsy uses special algorithm to create a personalized matching for you, helping you to find and get found more easily. And the most interesting part is that Foxsy serves as a chatbot, so the charming Foxsy, like a cute fox, will support you like a close friend. As a typically chatbot, Foxsy works on messenger apps; therefore you don’t have to download additional apps. And setting up Foxsy is a breeze, all you have to do is first connect your Facebook account and Foxsy, then Foxsy will ask you some additional questions to understand you better. Once you're done connecting to Foxy, let’s move to finding your new friends. Find the menu bar and the button “New Friends” at the bottom of the Foxsy’s chatting page. By simply tapping it or typing “new friends” and send it, Foxsy will suggest you several people you might be interested. Then, you can check the profile pages of the people and see how they are matched to your preferences. 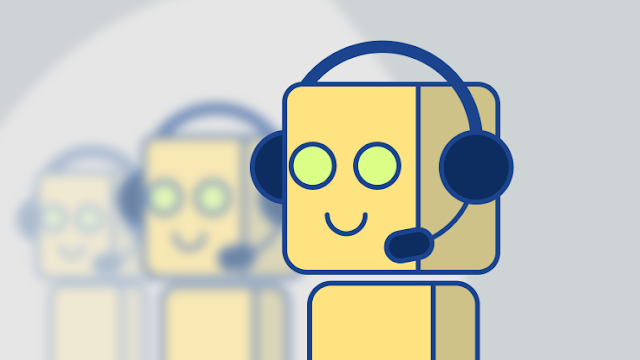 Chatbot was originally coined to describe conversational programs, often serving as experimental model, but nowadays, they are typically used in dialog systems for various practical purposes including customer service or information acquisition. While utilizing natural language processing systems, they can pull a reply with the most matching keywords to a query, or the most similar wording pattern, from a database. Facebook launched an API to build chatbots to interact with users on its Messenger application in April 2016, with use case including news publishers building bots to message subscribers directly with news and other information. And more than 35,000 bots have been built since Facebook opened its Messenger platform to bot developers, and thousands more are probably being designed by inspired teams across the globe as you read this article. The advantage includes companies being able to provide customers with intimate, one-on-one services at a fraction of the cost of a call center. Now, imagine the ease for customers having this personalized service agents respond any time they call a company's customer service, and not spending longer time waiting for human-agent to pickup the call. Meet Chattypeople.com, probably the best bot building platform with over 300 successful businesses signed up in the first three weeks. And what makes this platform different is the ease of use and easy customization processes that can be integrated with Facebook, Shopify, etc. Chattypeople.com offers a truly natural method for creating questions and answers, and it works by building out a decision tree of questions and answers that you create, so if you can create a decision tree, you can build a bot. The navigation and menu items has been thoroughly streamlined, and the attractive outline makes bot development a breeze. Even if you're not yet sold on chatbots, consider some of its benefits for small businesses. And for companies that don’t engage in customer service, they can build a bot to take care of processes, such as scheduling, or save on hiring assistants, the possibilities are endless. Chattypeople.com wants to be your Chatbot platform! While Bing's "Search By Image" was unveiled in 2009 at TechCrunch50, now known as Bing Visual Search, to allow people to search by picture, the company has expanded the image search toolset to allow users search for specific items shown within a larger image. It allow searchers browse easily through a slick interface of “structured data sets from trusted partners” using Sliverlight technology. 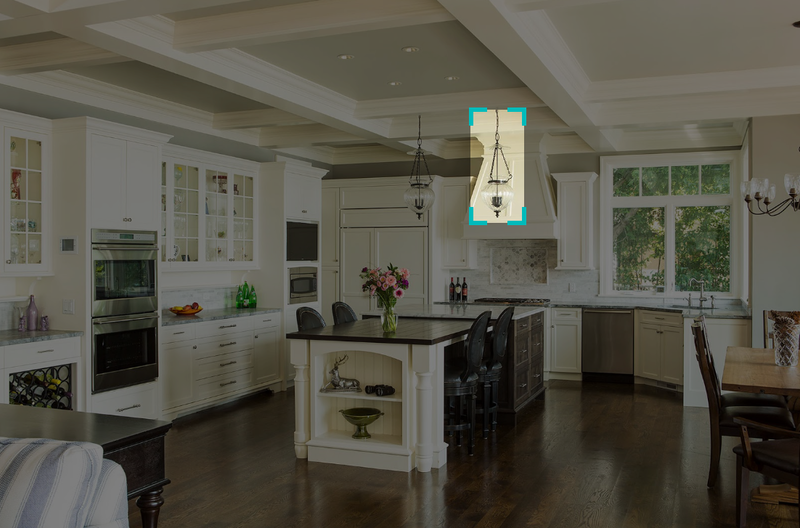 For instance, let's say you are looking for kitchen decoration inspiration, and an image attracted your attention. Just click on a thumbnail result to get to the ‘Detail View’. You really like the overall decor, but you are particularly interested in that nice-looking chandelier. Would it be possible to see where you can get one just like that? Bing Visual Search now makes it possible, just by clicking the visual search button will display a visual search box on the image. You can click and drag this box to adjust it to cover just the object of your interest. And each time you adjust the visual search box, Bing instantly runs a visual search using the selected portion of the image as the query. According to the company, the query-image understanding processes can perform object detection, extraction of various image features including DNN features, recognition features, and includes additional features used for duplicate detection. Albeit, the visual search feature is in its infancy, and there is still room for improvement. Soon it will automatically help you pick objects without needing to draw a box anymore, and provide other tools to help refine your search. While chat apps have taken over as an all important communication tools, innovation is mostly driven by user experience and the tight competition; Apple in a bid to turn its iMessage app into a viable communication platform, has launched "Business Chat" feature to compete with Facebook Messenger – and perhaps, make iMessage one of the main ways users interact with businesses. Launching alongside iOS 11, Business Chat will allow users to open iMessage window from Safari, Maps, Spotlight, or Siri, and start a conversation with a business brand. 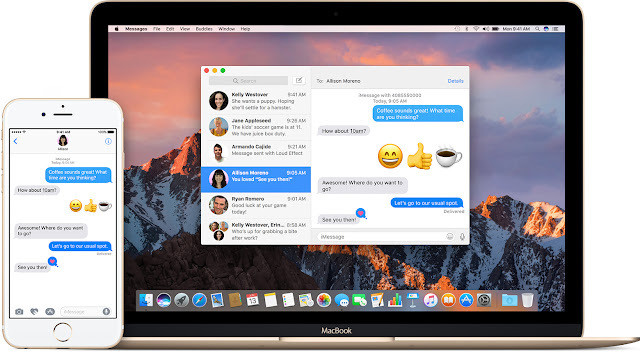 First spotted in Apple's developer site, the Business chat service was finally unveiled in a session at the company's annual event, Worldwide Developer Conference (WWDC 2017). Business chat will invariably feature conversations including basic text chats, with support and structure for more complex interactions, like scheduling an appointment. With the overriding idea that businesses can show-off some of their capabilities, for instance, Apple showed off a conversation where the consumer could actually choose their airline seat, all within the chat app. The initial business partners include LivePerson, Salesforce, Nuance and Genesys. And the launch version is limited to human-to-human conversations, though Apple may be planning to add chat bots in the future. Meanwhile Apple has opened it up for developers and businesses to test and create app integration within the Business Chat. By now you may have heard that drone racing has become a hot new kind of sport. We’ve seen drones available for some time, but beyond recreational flying around or filming with them, it’s been hard to see what purpose they really serve. That’s starting to change with the rise of drone racing. The sport is so fast and exciting that some people have compared it to the infamous “pod racing” footage from Star Wars: Episode I—The Phantom Menace. If calling this kind of activity a “sport” gives you pause, you may want to think again. It may seem like more of an after-school game than anything else, but the reality is that it’s starting to take off in a significant way. ESPN aired some drone racing competitions late last year, and will be showing more drone sports this summer. The worldwide leader in sports is working with the DRL (Drone Racing League) to make the activity available for public consumption. While viewership numbers weren’t particularly impressive last fall, it speaks volumes that ESPN is willing to give it another shot. The smart money seems to be on the idea that as more people hear about the DRL, they’ll want to check it out for themselves. Along these same lines, it’s also worth mentioning that the sports betting industry is starting to take an interest as well. Major bookmakers are only keeping an eye on drone racing right now, but it appears that if viewership and general enthusiasm increase — which might be inevitable with ESPN’s support—odds on the races will soon follow. People need to be watching a sport for betting to be viable, but the two go hand-in-hand. 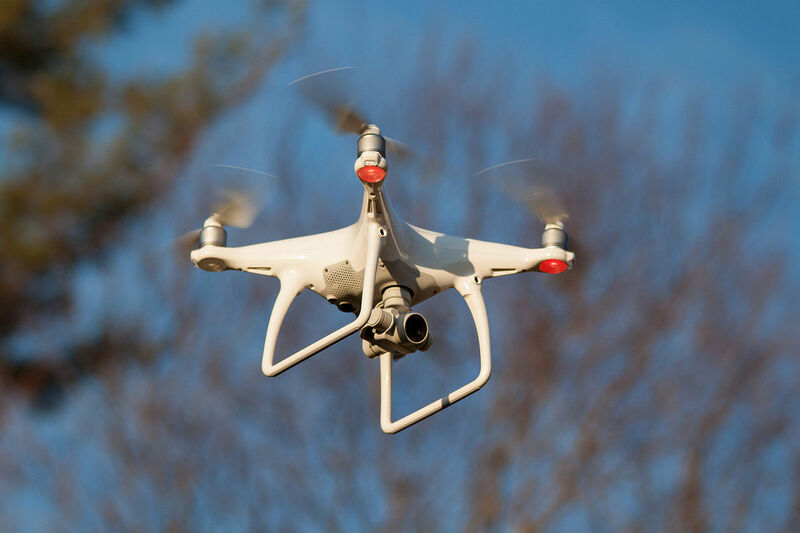 There is no major sport for which there isn’t also an established market, and this could ultimately help to boost the development of professional drone racing. The most interesting thing about the rise of drone racing might be that probably wouldn’t be possible at all had it not been for VR. When you think about it, controlling a small drone in any race longer than about a hundred yards just isn’t realistic. That’s exactly what VR has enabled drone racers to do. VR drone racing has been called the next frontier in competitive racing as competitors control their drones from the perspective of real-time VR feeds. It enables the races to be longer, and the courses to be more dynamic. With a first person, VR-based perspective on where your drone is going, you take it virtually anywhere. What will be interesting is how much this impacts viewership if drone racing becomes a popular spectator sport. TV networks will almost undoubtedly provide feeds from the same cameras that allow the competitors to race, and this will make the action unlike anything else in professional sports. It may also persuade more people to try racing themselves, which could really make VR and drone racing a perfect marriage. 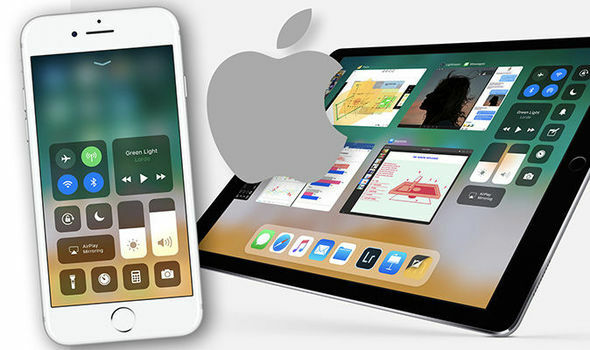 The transition to 64-bit is now in full swing, while 32-bit operating systems and software are still prevalent - Apple has already marked an end to 32-bit apps on iOS devices with iOS 11, and soon will extend the same changes on macOS operating system. Starting with iOS 11, any attempting to open a 32-bit app will give a message notifying users that the app needs to be updated before it can run on the new software. And with the next version of macOS after High Sierra, Apple will begin "aggressive" notifications about discontinuation of 32-bit apps support before eventually phasing it out from Mac App Store. And all new apps submitted to the App Store must be 64-bit, and all apps and app updates submitted must be 64-bit by June 2018. The obvious advantage of 64-bit includes availability of larger memory, and performance can benefit from the extra storage spaces called registers on processors, making some intense computing tasks to run faster. Apple had earlier issued warnings that most apps that haven’t been updated since 2015 will likely be rendered inoperable by whatever future version of iOS which pulls the plug on 32-bit apps. 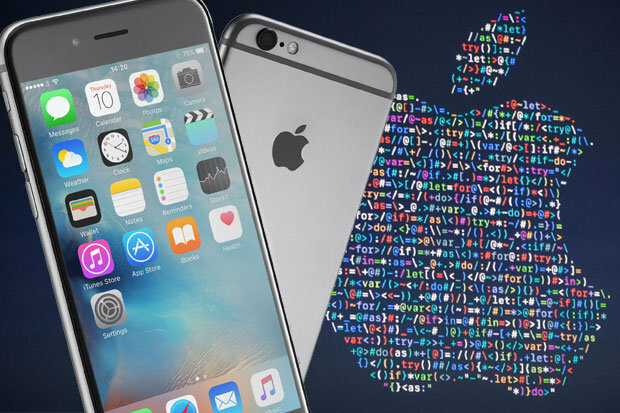 The first iPhone with a 64-bit processor, was iPhone 5s and since it launched in September 2013, developers have had the option to have their apps run in 64-bit mode. Since then, both end users and developers were given several warnings, before the eventual end, and the company says it will follow the same path for the macOS operating system. Over the duration of the hugely popular Apple Worldwide Developers Conference (WWDC 2017), one of the high-points was the announcement of peer-to-peer payment feature coming to Apple Pay which is perhaps the fastest and safest way to send money from person to person. Starting with iOS 11, Apple's upcoming mobile operating system will allow users to send money to each other using only a text message via iMessage. Apple Pay was launched in 2014, and until now, it support only payment on websites, but with the recent addition of peer-to-peer payments, the payment platform is expanding into an area of payments dominated by PayPal in the US - with its Venmo app processing more than $1bn of payments a month. The peer-to-peer payment system was necessitated by a scenario whereby you're about out getting drinks or dinner with friends. Then comes the bill, and someone can’t pay their share with the cash in their wallet. Now, What if your cash-strapped friend could send you their share with the phone in their pocket? And with the link to bank account, debit card, or credit card; whenever you send a payment, it's charged on your account and held onto until your friend claims the transaction. Then, the money moves into your friend’s account. Easy, right? While there’s been a recent explosion of apps that promise to make sending money easier and take the strain off having to carry cash; to make all this possible, you'd need to not only have the app, but link it with your bank account or debit card. Albeit, P2P is seen as the gateway to the next generation of payment and personal finance services that could upend traditional consumer banking relationship. Apple recently held discussions with Visa about creating its own pre-paid cards that would run on the Visa debit network and which would be tied to the new peer-to-peer service. With the P2P service, users could then add the debit card, which may only come in a digital form, to their Apple Pay digital wallet to use for tap-and-pay purchases at brick-and-mortar stores. Albeit, the potential of Apple getting its own debit card isn't positive for now, as most bank executives are concerned that Apple having its own card, could potentially be top of the wallet. Apple Pay is charged at 0.15 percent on bank per transaction in the U.S., and a tiny fracture of debit card purchases. Apple would likely not charge consumers to use the money-transfer service, which leaves only the use of the Apple debit card tied to it for revenue sources. The battle line seems to be drawn between Apple and Amazon in the race to conquering the Smart Home ecosystem, and the duo digital assistants: Siri and Alexa is where the battle will be presumably won. Now, Apple is prepping the Siri update and to take the fight fully to Amazon, but how does the current version stack up against the current Smart Home leading AI, Alexa? While Amazon allow developers to build and publish skills for Alexa using the Alexa Skills Kit, Apple is only playing catch-up with its latest software update. And these skills developed by third-parties come as voice experiences that are added to the capabilities of any Alexa-enabled device (such as the Echo). Amazon also allow developers to integrate Alexa voice capabilities into their own connected apps by using the Alexa Voice Service (AVS), a cloud-based service that provides APIs to interface with Alexa. Both Apple's Siri and Amazon's Alexa all got special features, and serve as respective digital helpers which could auto play music, go shopping, give directions, control smart-home gadgets and offer generally entertainment. Amazon's Alexa Home Automation feature was launched in 2015, and the company surprisingly moved into the ever-intensifying virtual assistant wars by placing Alexa on the Apple's App Store, and also available from the Google Play and Amazon's own Appstore. The app is useful to owners of Alexa-enabled devices to control music, manage alarms, and view shopping lists. And as always, the more familiar a virtual assistant becomes, the more likely people will use it wherever. In the home automation space, Alexa can interact with virtually all the popular smart home devices, and take-out food can be ordered using Alexa; as of May 2017 food ordering using Alexa is supported by Domino's Pizza, Grubhub, Pizza Hut, Seamless, and Wingstop. For now, Siri is native to Apple products: iPhones (4s and up), iPads (3rd generation and up), iPods (2012 and up), Apple Watch, Apple TV and via the Siri remote. Apple's home automation system, HomePod was announced at the companies annual event, Worldwide Developers Conference (WWDC 2017), and Apple has promised opening of the system to third-party developers. Though Siri also enables smart-home control just like Alexa, Amazon's assistant is more versatile, with over 900 "skills" and growing daily. Apple at its ongoing Worldwide Developers Conference (WWDC 2017) introduced ARKit, a new set of APIs to help developers bring Augmented Reality apps to iOS devices. 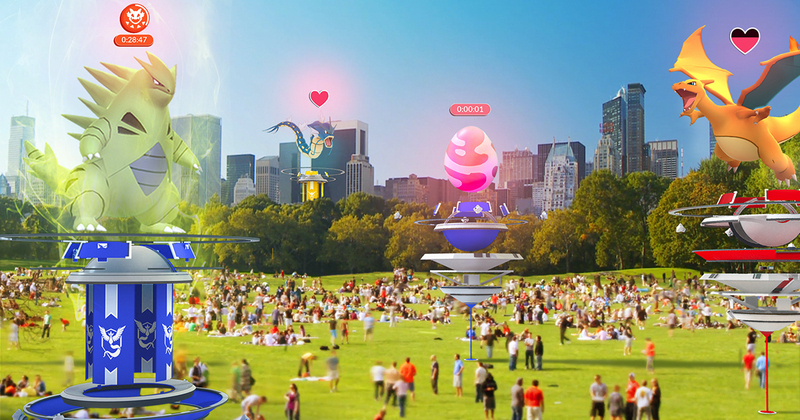 While singing the praises of Pokemon Go, the company expanded on the changes made to it’s App Store, which will provide advanced augmented reality capabilities on iOS. According to the company, ARKit supports Unreal Engine and Scenekit and will be coming to iPad and iPhone, among other iOS devices. Before now, Apple’s software wasn’t specifically built to enable stable motion tracking that makes objects appear as actually being placed in real space, which popular third-party apps like Pokémon Go with AR capabilities require. Apple gave an instance with improved version of Pokémon Go in which the Pokémon wouldn't float anymore. Touted as the “largest AR platform in the world” - ARKit, will be available across the iOS ecosystem. However, it remains unclear how Apple wants its developers to use the new AR platform, albeit the company made available demos to show off what ARKit can do, highlighting the marker-less spatial awareness that ARKit has in a tabletop gaming title featuring an airship attack on an enemy outpost. Apple, nonetheless is playing catch-up with Google, which already has Tango augmented reality platform, though only available on Android devices. While rumors had it that Apple was poised to announce a smart speaker to take on Amazon Echo at its Worldwide Developers Conference (WWDC 2017), which rumor turned out true; the company also notched up its hardware offerings with new artificial intelligence capabilities in Macs and iPhones, and allowing third-party apps to tap into that power. At the highly anticipated event, Apple introduced a smarter, more expressive Siri that can make more accurate predictions about users intent, and then the high point: the unveiling of Siri-powered smart speaker. Albeit, the company already made its iPhone a smart-home hub, using its HomeKit software, the upcoming HomePod smart speaker is where Siri will eventually become home. The HomePod represents Apple's first new category of hardware since the Apple Watch, and the attention for smart speakers stems from the perceived possibility that these devices - not smartphones - will become the hubs that power the future smart home, as proven by Amazon, which essentially invented the smart speaker category with its Echo device in late 2014. And the voice-activated speakers can be used, typically in the living room, to play music, order sushi, or even tell a knock-knock joke, all without leaving the room or to look at a screen or use your hands. Apple, though may be late to the party, which is already encroached by tech giants like Google, Microsoft, HP, Lenovo and Samsung; all trying to catch up to Amazon. 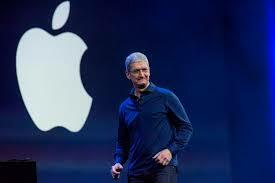 But the big question for the new speaker remains whether Siri will be up to speed to power its dedicated devices. The HomePod, however won't be home until December; meanwhile Siri's got a catch-up to do with its new tricks now with Apple's next round of software updates. The Cognitive Toolkit is an open source toolkit, focused on deep learning and artificial intelligence similar to Google's TensorFlow, which Microsoft released last year. While the initial version was remarkable in terms of speed, the second edition made available on Thursday puts more emphasis on usability with support for Python and Keras neural networking library. It also includes the addition of Java language bindings for model evaluation and tools that compress trained models to run in real time even on resource-constrained devices including smartphones. The updated Cognitive Toolkit not only provides a number of new features, but bug fixes too, albeit it isn't entirely backwards compatible due to deprecated and renamed aspects of the toolkit. 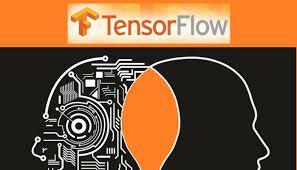 With Google's TensorFlow already supporting Keras, means this new release would make it possible for data scientists to easily port their code between two different backends. Unlike other deep learning toolkit, Microsoft Cognitive Toolkit is built to work reliably with massive production data out of the box, and most AI workloads within Microsoft, from Cortana to Bing to the Emotion API in Cognitive Services, were all created using the toolkit. Originally built for speech recognition systems, Cognitive Toolkit is very good at working with time series data for building recurrent neural nets. Microsoft, however is battling with a bunch of other programming frameworks backed by other tech giants like Google's TensorFlow, which is perhaps the most popular open source machine learning framework, Amazon's Apache MXNet, and Facebook Caffe2 framework. With this update, the Cognitive Toolkit’s performance for other kinds of neural nets was not just improved, but also the groundwork for making it easier to extend the system in the long. What's new in Microsoft Cognitive Toolkit for deep learning? 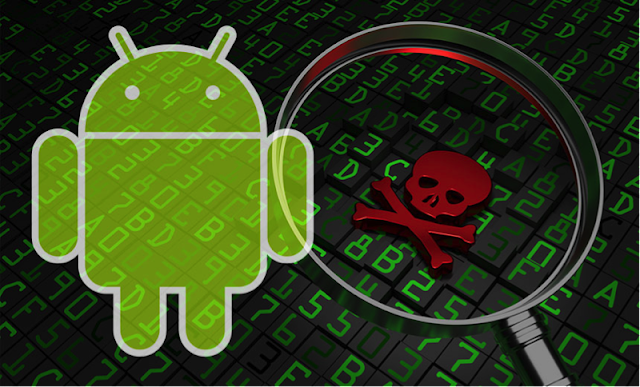 While phishing has become widespread, most email users are lacking in the knowledge about the sophisticated nature of such attacks, which usually result them falling for hackers antics; but Google is betting its machines won't be tricked as easily. According to Google, over 50 per cent of messages received in it's email service are spam, many of which are crafted to deceive people. And as a result Google has got a massive job to protect these users from hackers, and like its earlier phishing detection systems, Google is bringing in AI security to track suspicious messages, which the machines will analyze to make sure it's not a phishing bait. The AI security system uses machine learning from Google's Safe Browsing, which warns against a page with malware, to detect the likelihood of a malicious message. 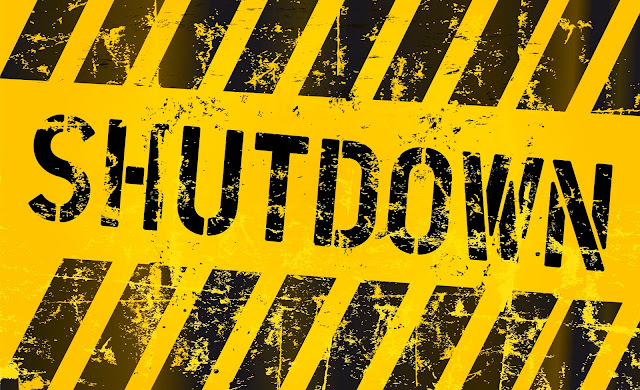 And the automated system will close off any breaking-in point, and Gmail will warn about the phishing URLs and links that may lead to compromise. This is coming on the heels of the recent Google Docs phishing attack which affected about 0.1 per cent of Gmail users, leading to the current Google's OAuth services review. 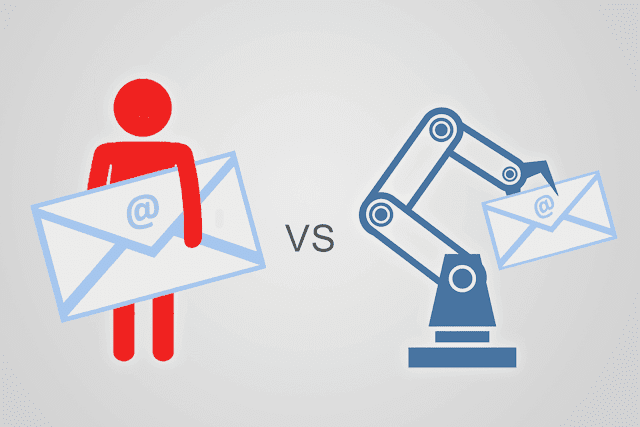 Google have stated that a delay should be expected in message delivery, as a result of the machine intervention which may account for less than 0.05 percent of messages. But assures that its models adapt more quickly than manual systems, and would get better overtime.